Behind the family fun side of Blackpool lies a deep dark secret - explore its hauntings, shipwrecks, murders and phantoms. Stephen Mercer’s terrifying collection of true-life tales is guaranteed to make your blood run cold, looking at stories of phantom’s on the Prom, spooky shades in the sand, the lady who walks the pier and the siblings who play in the fountain. These among many other stories of the paranormal will make you wonder what happens when silence drops over this iconic holiday destination, when the tourists are tucked away in bed, and when the nightclubs and restaurants close for the night. 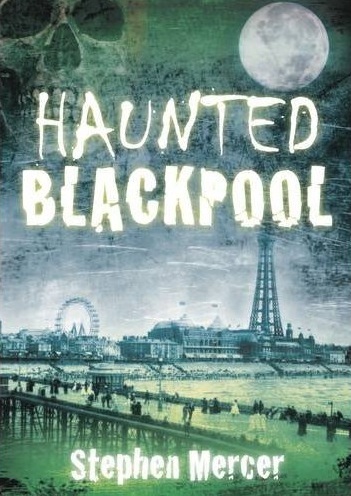 This bone chilling compilation of paranormal stories will awaken you to the deeper and darker side of Blackpool’s heritage. 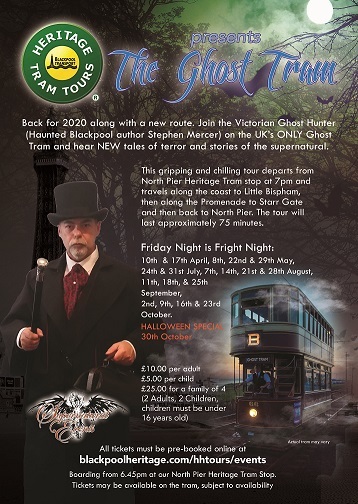 These spooky seaside stories from the founder of Blackpool’s original ghost tours company will delight everyone interested in the paranormal. The author draws on historical and contemporary sources, containing many tales which have never before been published. Haunted Blackpool's forward written by star of Living TV’s Living With the Dead, Ian Lawman and it is illustrated with 70 black and white images of Blackpool's most haunted locations. Stephen Mercer is a paranormal investigator who owns the company Supernatural Events, which runs ghost walks and investigations throughout Blackpool. He has worked alongside well-known mediums and paranormal investigators including Derek Acorah, Sally Morgan and Richard Felix. 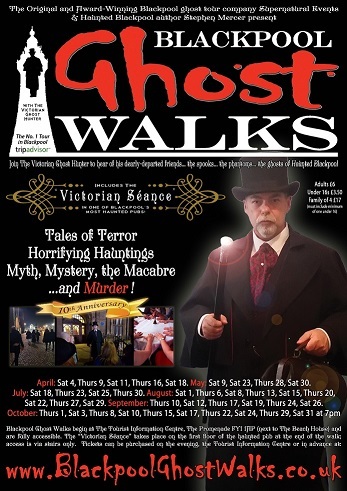 He has his own website: www.SupernaturalEvents.co.uk and www.BlackpoolGhostWalks.co.uk. He lives in Blackpool. 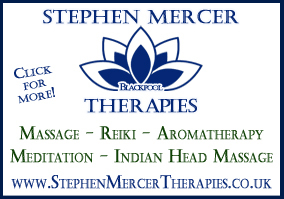 Stephen is available to present his Tales From Haunted Blackpool talk. Please click on the link on the left for more information and booking enquiries. Haunted Blackpool is now available from all good bookstores and via Kindle and Apple iBooks.